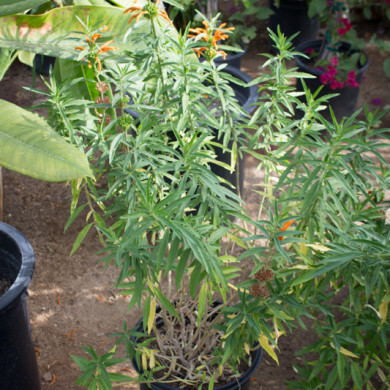 Drought-tolerant full sun bush that can grow to 4′-6′ in height. Textured mint shaped leaves that grow along a square narrow stem. In summer the flowers begin to show and continue through the fall. 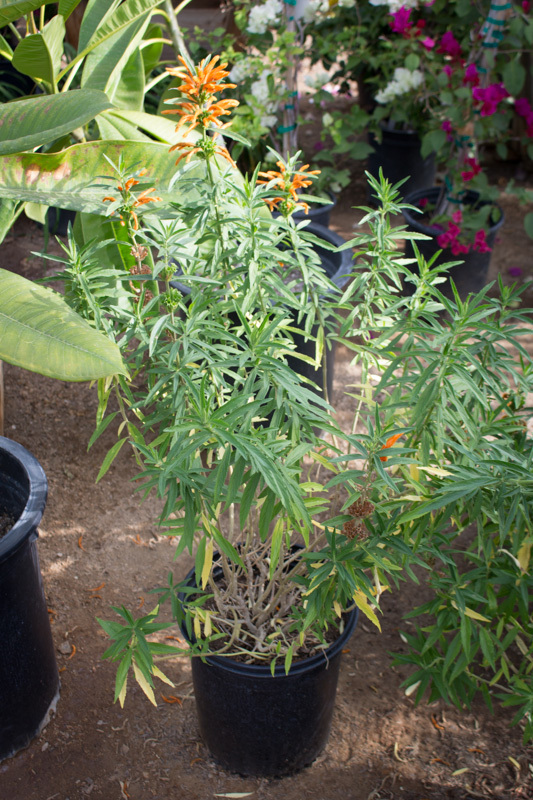 The flowers are a striking orange color that grow in tufts like a lion’s tail.